The Saint John’s community is made up of all sorts of people from all sorts of different backgrounds. Young and old, men and women, people who’ve been going to Church all their lives and people who’ve only just dipped their toe in the water. So, whoever you are and wherever you’ve been, you’re welcome at Saint John’s! Mother Carrie Thompson is the Vicar (Parish Priest). She’s usually available in the Parish every day except Mondays. Hailing originally from South London, Mother Carrie moved to Gosport in 2008. She enjoys talking to horses, cycling, hanging around in coffee shops and narrowly avoiding getting peed on by dogs. She shares the Vicarage with her cat Mary, and a menagerie of other animals. Mother Carrie is happy to carry out home blessings and home Communion, visit the sick and housebound, hear Confessions, or just meet up for a chat. You can send her an email here, or give her a ring on 02392 503 140. 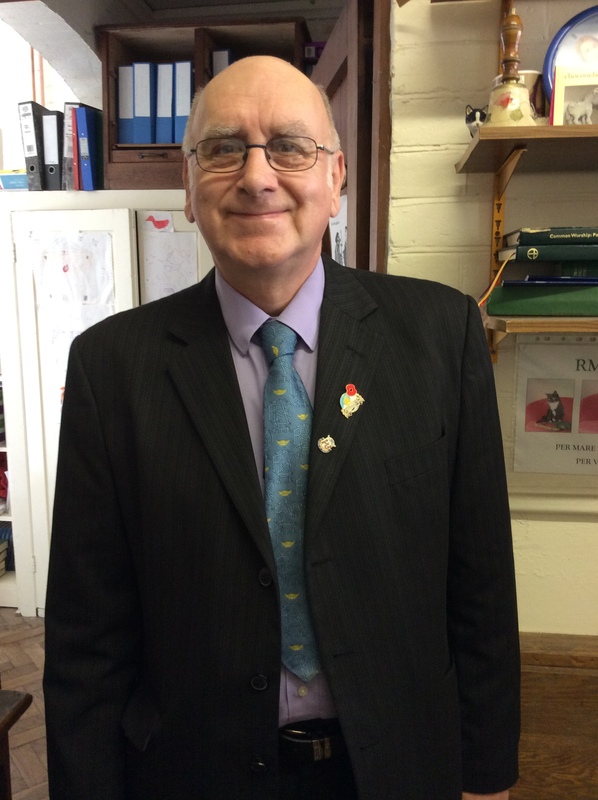 Father Tim Watson is the Leesland Pioneer Minister and works with both Forton and Alverstoke Parishes. Father Tim is usually at St John’s during Open Church, but on Sundays you will find him round the corner at Leesland Neighbourhood Church, an informal gathering of people who eat and pray together on a Sunday afternoon. As a pioneer minister, Father Tim’s role is to look for opportunities to work with the community in the Leesland area. Mother Ann celebrates and preaches at Forton about once a month. After a busy life working as a Counsellor and raising a family, Mother Ann was ordained in 1994 and served in various Parishes in Portsmouth Diocese. Now officially retired, she still serves as a Priest on the ministry team at St Faith’s, Lee-on-the-Solent, and acts as a Spiritual Director, helping people think more deeply about their prayer life and relationship with God. Paul and Shelagh are our Churchwardens. They are elected by the people of the Parish to support the clergy and help with the running of the Church. Amongst other things, they are responsible for ensuring good order during public worship – so if you want to start a riot during Mass, you’ll have them to deal with! Paul and Shelagh also act as our Safeguarding Officers for children and for adults who may be at risk of harm. John is our Treasurer. He’s elected by the people of the Parish each year to keep our finances in good order. Occasionally he even lets us spend some money. John is the person to talk to if you would like to make a donation to the Church or take part in our planned giving schemes. In May 2017, John and his wife Linda were the deserving recipients of a Bishop’s award for long service to the Parish and community of Forton. You can read all about it here. Sarah is our church cat. Her hobbies include sleeping, eating, knocking things over and occasionally scratching the Treasurer.